The Language Academy is a K8 school in the San Diego Unified School District that offers students the unique opportunity to become biliterate in either Spanish and English, or French and English. Additionally, students gain knowledge and an appreciation of the history and culture of the language they study. The school offers an aggressive academic program and needed upgrades in order to keep up with its programming demands. Existing kindergarten classrooms were small and lacked innovative teaching capabilities; many were still located in portables classrooms. Surrounded on three sides by a residential neighborhood, the school needed a stronger campus identity. 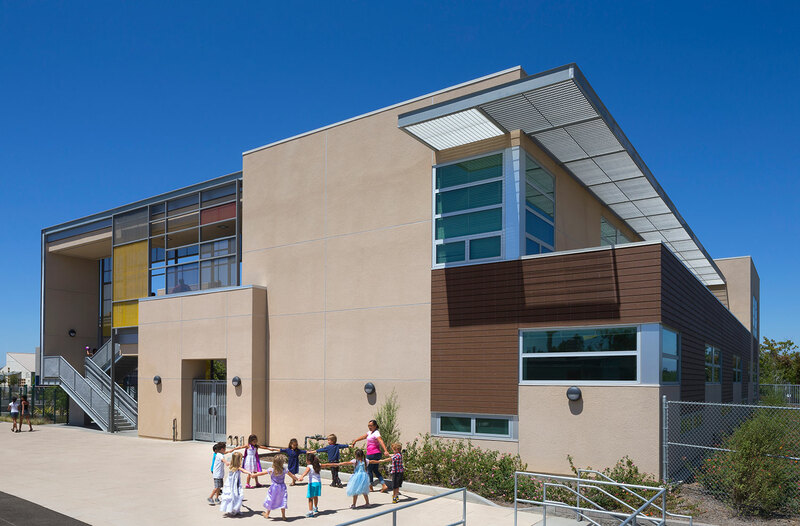 We designed a two-story classroom addition that added six new kindergarten classrooms on the lower level and six new elementary classrooms on the upper level, reinforcing its place in its neighborhood, and making it more visible from the main drive. 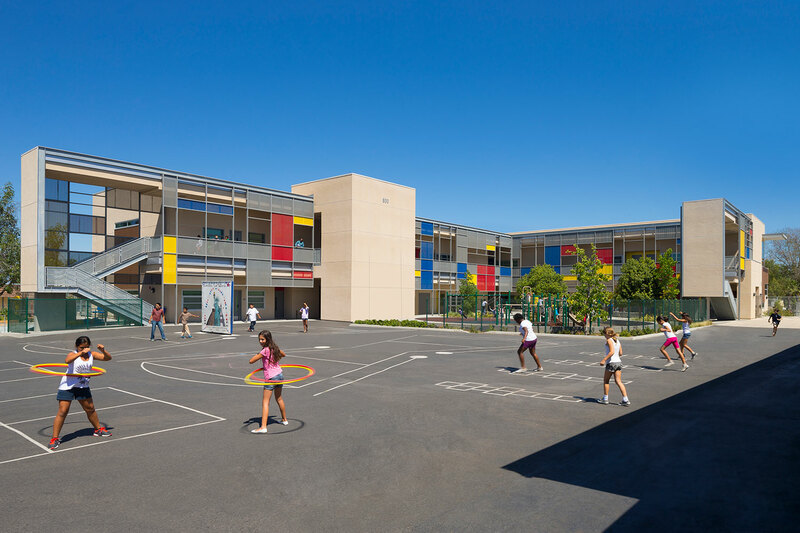 A kindergarten playground with equipment, a pick-up and drop-off area, and a joint-use sports field enhance the campus environment with communal amenities. A new promenade connects all of the existing buildings along a spine, starting from the joint-use city park, then to the campus entrance, and eventually leading to the new building. 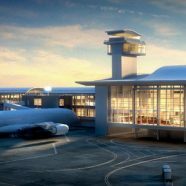 The building’s new design boasts an L-shaped form to offer a more inviting, cradled welcome, and a new promenade pathway at the new drop-off area. 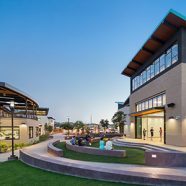 Through this visual connection, the building represents a relationship between the site that signifies it as a campus, with the view toward the promenade that represents the future. 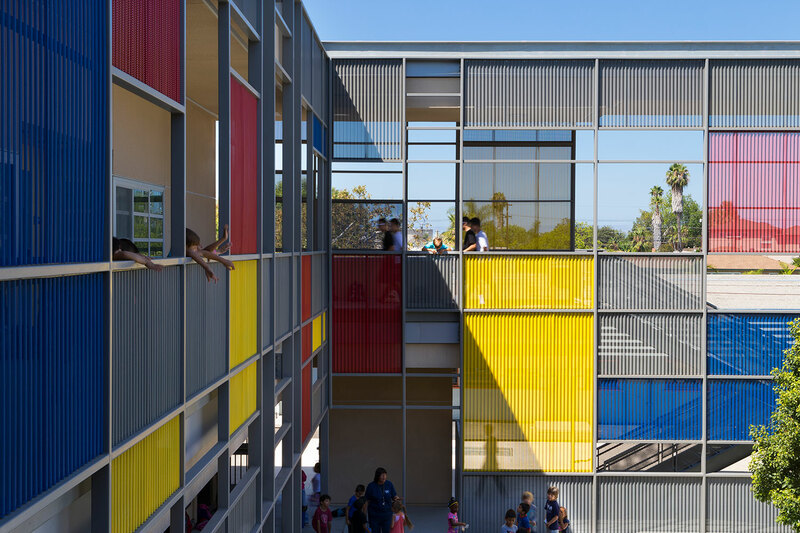 The building itself symbolizes the spirit of its children and their joy of learning and play. 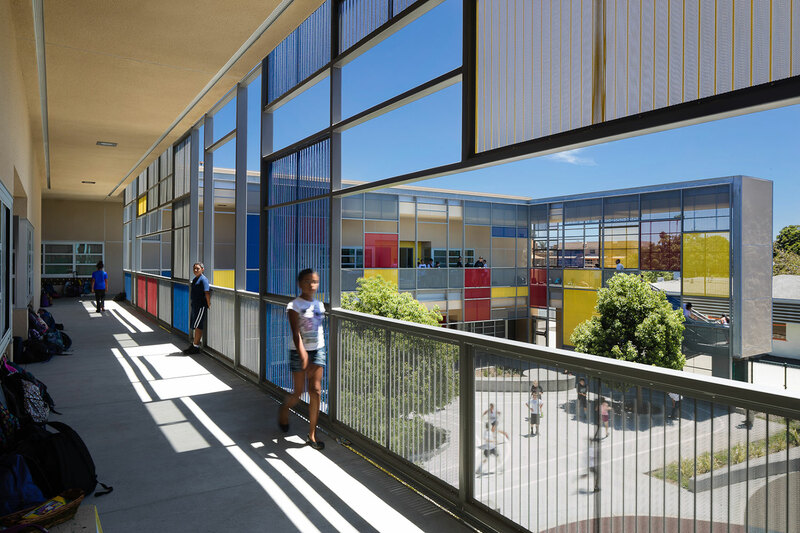 A screen wall around the two-story structure is inspired by Mondrian’s paintings, utilizing simple rectangles and primary colors. 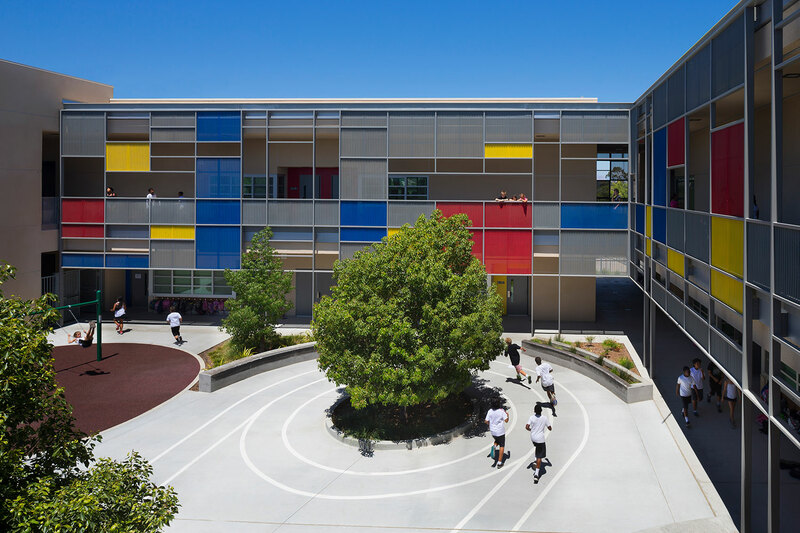 Geometrical shapes, colors and lines are organized in an abstract composition to create much-needed visual enhancement to the playground below, and an interactive space for the elementary classrooms above. These elements combined to create inspirational and stimulating spaces for the children as they enjoy their outdoor play. The design provides sustainable learning and teaching environments by using natural daylighting and natural ventilation in all classrooms, solar roofing panels, cool-roof and sun-control shading devices that reduce cooling demand, interior and exterior finishes made with recycled content, interior acoustic control that provides instruction clarity, and an enhanced building envelope and glazing technologies that filter exterior noises. These collective sustainable strategies improve learning and advance the school’s performance standards forward. 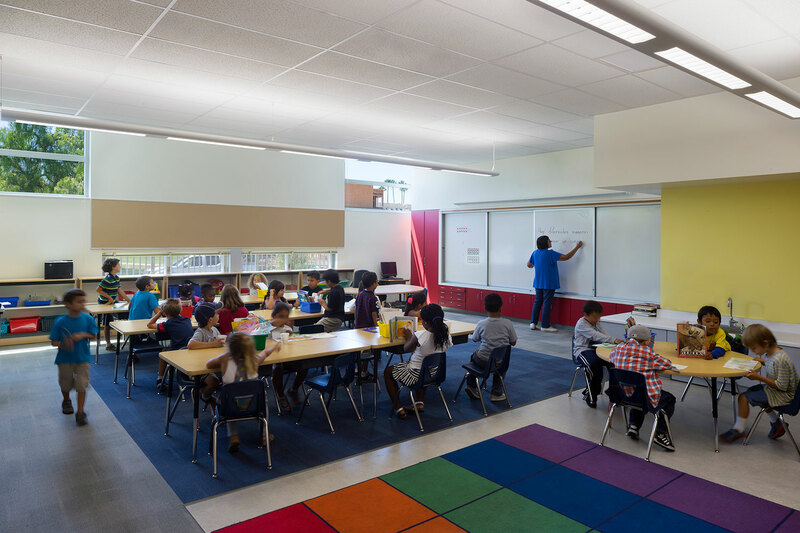 These sustainability improvements also secured the school with a High Performance Incentives (HPI) ranking, which allowed for additional funding from the State of California. Additional funding incentives were also provided through involvement in Savings by Design, offered through San Diego Gas and Electric.